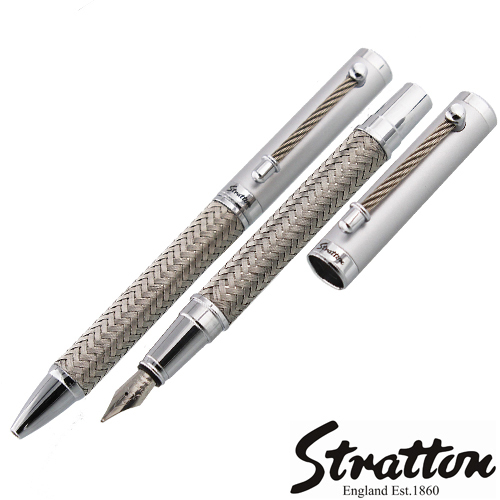 An exquisite roller ball and fountain pen set from Stratton of Mayfair. Offering understated style and elegance, both pens have a strong two tone silver design with a textured stitch barrel and grip. The set is presented in high quality, refined and cushioned Stratton branded packaging to make for a complete piece of giftware. Stratton is a brand synonymous with the timeless beauty and outstanding functionality of British innovation and style.